Oval conference table is part of the Lorell Essentials Wood Laminate Table Collection and can be used with Lorell Essentials Series Laminate Furniture that offers high-quality laminate construction and a contemporary design. 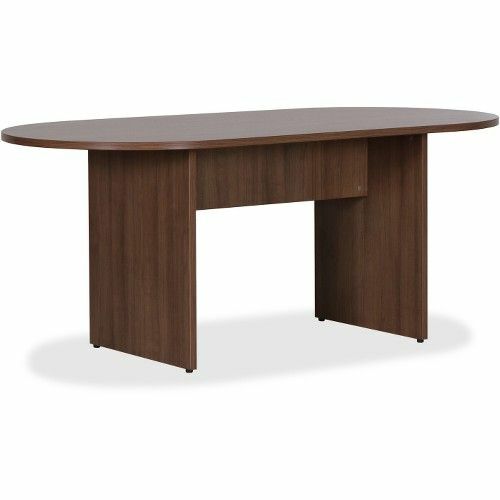 Top features a 1-1/4" thick, Walnut laminate surface with a 3 mil thick edge. Two-panel leg base features adjustable floor glides.